“More jobs, Lower taxes and more money in your pockets” this is the campaign message that ushered the PF in government. In fact this statement was the only PF manifesto we all knew. There was non apart from this. But this is what politics is. A party must have something that even children can easily say and sing along. This is how politicians in Africa win elections. The UPND has failed to come up with such slogan for over 20 years they have been in the opposition “Zambia Forward” is not good enough and it shall never be. But before I go deeper let me defend HH regarding his international engagement(s). Recognised politicians are usually invited to speak at international gatherings. President Chipimo, Dr. Mumba, President Milupi, President Saviour Chishimba and yes even myself I have been invited before to make particular presentations outside Africa. Even my good friend Andyford Banda who has been in politics for a very short time was invited to give a presentation at a huge gathering last year. When they invite you at such gatherings they give you a topic to tackle. So you speak accordingly. Some of the politicians who have not been recognised internationaly include Dr. Cosmo Mumba, President Mulyokela, President Chilufya Tayali and a few other individuals running ‘small’ parties. I am confident however that my President Chilufya Tayali May soon be recognised but only if he chooses to change his politics. Politics of logic gains one international recognition while politics of excitement makes one a stand up comedian.Tayali’s politics can’t gain him international recognition. Only Kaisa Zulu and Amos Chenda can recognise him, which is also a good thing considering the dollar involved. And sometimes Zambians like politicians like him. Having said that, I find nothing wrong in HH giving speeches abroad. This is part of global politics and no sane person should condemn him. Now let me say what I wanted to say. It is very evident that the PF has failed to deliver what they promised the people. The current leadership is now labelled as the most corrupt government. Many Zambians are fatigued with the PF government. People are now looking for an alternative. The UPND maybe considered the only alternative if they want. However, the current structure of the UPND has failed to make the party attractive. If the UPND is serious about winning the 2021 election, change must take place in-house. The UPND needs a vibrant and active youth wing which can inspire confidence in young voters. What the party has now is a bunch of young people who say things they don’t understand themselves. The UPND is full of cowards like me who think they are already in power. Most of the people around HH have already reached their destiny. The best thing the UPND know how to do is complaining. If the cry baby mentality does not stop, the UPND will never see state house. The party must start embressing new ideas that can build a national character. They need to kill the tribal tag before it’s too late. Getting GBM was not good enough looking at the 2016 results. 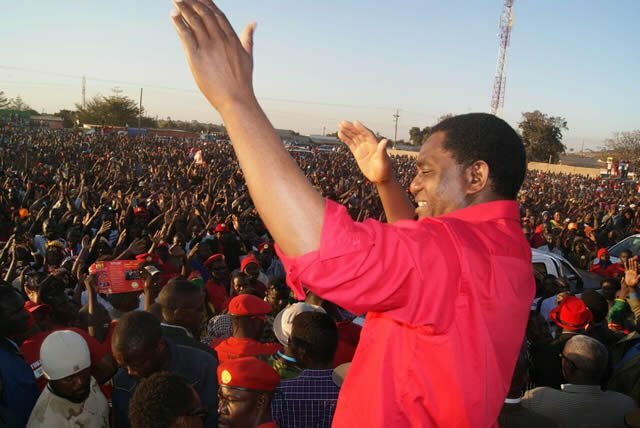 The UPND failed to take advantage of HH’s arrest. President HH must clean himself properly and do away with those who have made it difficult for him to excel politically. UPND may also need individuals like Frank Bwalya. With all the confusion going on in the PF, it will be very foolish of the UPND to lose the elections in 2021. If they want to win they will but if they continue using the same strategy then state house is too far.